With the latest opinion polls in Scotland showing the SNP vote surging to over 50% and a clean sweep of seats in prospect wise heads in the party should be getting worried. If the election sends 59 (or just one or two fewer) SNP MPs marching south on Westminster they will face some significant challenges, not least how do they represent all the Scottish people when only a little over half will have voted for them? There is a grave danger that an overwhelming haul of seats for the SNP will unleash a wave of nationalist triumphalism – the signs are already there, especially on social media – that will blind them to the fact that a faction under half the Scottish people will have voted for parties that stand diametrically opposed to the SNP’s core policy of independence for Scotland. It is very hard to see how SNP MPs can give voice to those who want to remain part of the United Kingdom so who will speak for them? No-one? If you so completely disenfranchise half the population you store up big trouble. They will get angry and resentful and politics north of the border will get even more bitter and polarised than it is already. A clean sweep will test the nationalists’ commitment to pluralism and tolerance. Nationalists the world over have always found that a tough challenge. That won’t be their only challenge, however. They will have to elect a leader. Yes, that charming Nicola Sturgeon won’t be there. She isn’t standing for Westminster, a point that Conservatives, Labour and the Liberal Democrats have failed to get across. 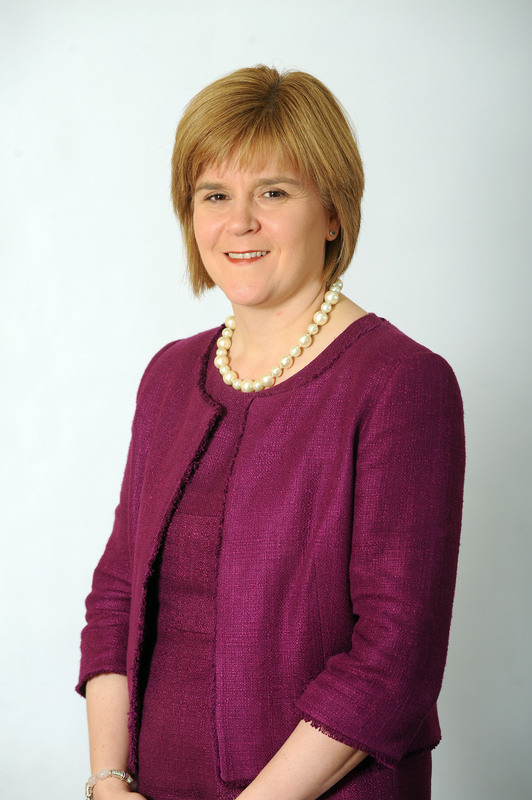 Sturgeon won’t be SNP leader at Westminster – but who will? The SNP has a leader at Westminster, the bluff but ineffectual Angus Robertson. It is hard to believe that Alex Salmond won’t stage a coup the moment he arrives back in London. This will at the very least be distracting for the SNP while it decides how to play its cards as kingmaker and, worse, could prove very divisive. As it is very unlikely that the SNP will enter a coalition with anybody it means they will have alot of backbench MPs with relatively little to keep them occupied in London and history shows that large numbers of idle MPs sooner or later make mischief. We could quickly discover that the SNP is not such a unified force after all. Finally, they will face the challenge of what to do with an electoral system that now lies shattered and broken across the United Kingdom. First Past The Post will have delivered 55 plus SNP MPs to Westminster when a fair electoral system would have given them half that number. The SNP has always supported proportional representation and has prospered under a PR system in Scotland. With the last vestige of credibility now stripped away from FPTP and the specious claim that it produces strong governments ruthlessly exposed as the fraudulent argument it always was electoral reform will be back on the agenda. The current system must surely be something that even its most blinkered adherents now realise has no place in a modern, multi-party democracy. How foolish must the proponents of the strong government argument feel now it is about the deliver them chaos and instability? If electoral reform forces its way back on the agenda in the next Parliament will the SNP turkeys vote for Christmas? Half of them will lose their seats under a PR election. Will they put principle before career? This election may turn out to be a case of beware what you wish for for the SNP.